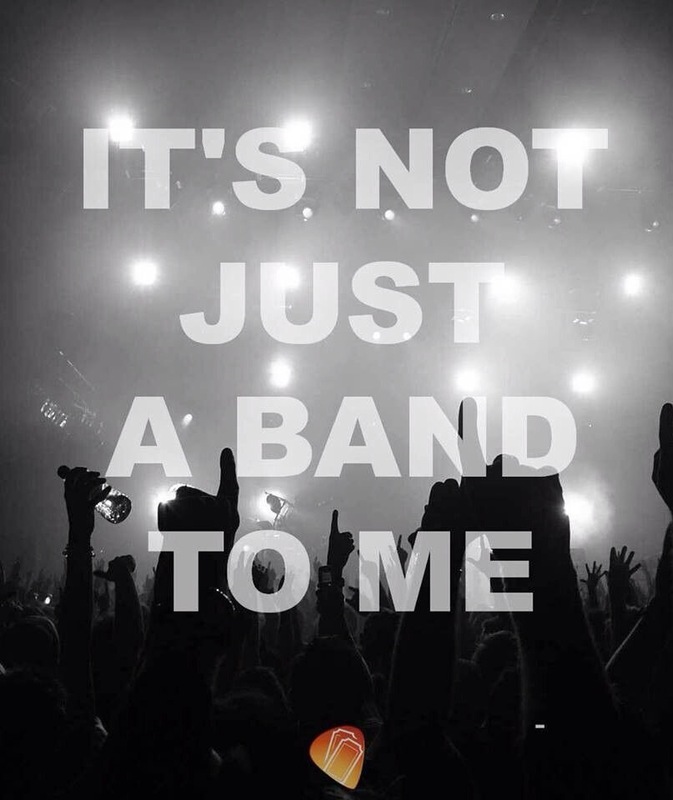 Most of you Know what i mean, you have a Favorit Band or One you really like. You Love to listen to their Music and you Support them as much as you can and Then One Day were you thought this Could Never Happen … They Call it quit … Out of nowhere. It’s like your Heart would Shatter in Million Pieces, you Start crying and Cant stop and all what you can think of is Why? Why Does this Happen Right now? Mostly People can Identify their life with the lyrics of a certain Band, it’s like they would Know whats Going on, or understands you. Music makes Everything less painfull. Thats Why alot of People get attached to Bands Cause they Know How their feel, or throught what they been. Bands/Music has a Huge inpact of Most of the Poeple Life’s. You keep Supporting that Band Cause they help you to keep Going and the thought that this Band Could stop to excist ist Something that no One really think about, and exactly thats Why Are Bands Break ups Always so hard for us to Understand or Handle. You grab their Music when you feel sad or Alone and they Are Always there Even when Not in Person and Then when they Call it quit you don’t know How to Handle this. Whos gonna Be there now when you Need someone ? When you listen now to their Music it’s Not the Same you Always Look Back at the “good” times and feel sad because it’s over. Bands keep Most of the Teens Alive so hard it may Sounds. Some Poeple Cant Handle These Feelings and lost the Control about themself, some just cry a Few times and get over it, Some don’t Even Care. But for me a Band Break up when it’s One of my Fave it’s Never easy.i Always feel sad and hurt when i Look Back, i Know How much Fun i had with them and i Know it’s Never the Same … Sometimes you Cant Even Say goodbye to that Band Cause you Cant Afford to Travel so far, or they might can Afford to get on tour for the Last Time.